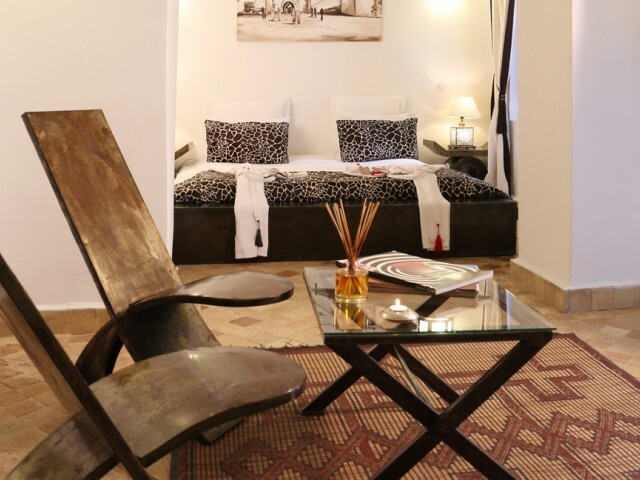 This riad offers all the comfort of today in a cordial, family and serene environment. 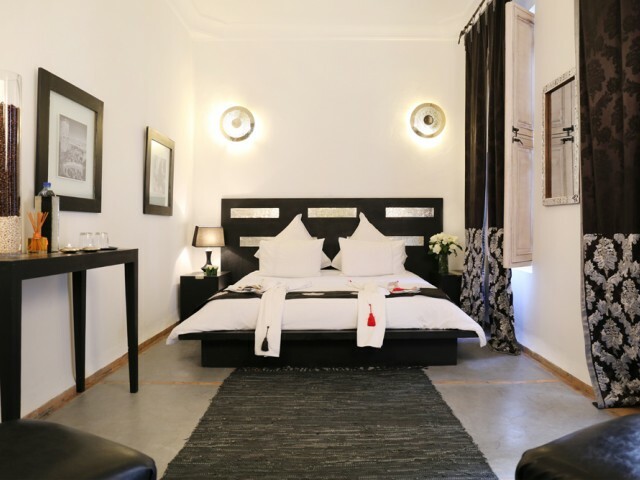 Thanks to its great volumes and its exceptional surface of 380 m2 on the ground, Riad Anyssates as well allows to each host his intimacy, its independence that meetings of family or friends then being able to accommodate more than 20 people for a reservation of exclusiveness. 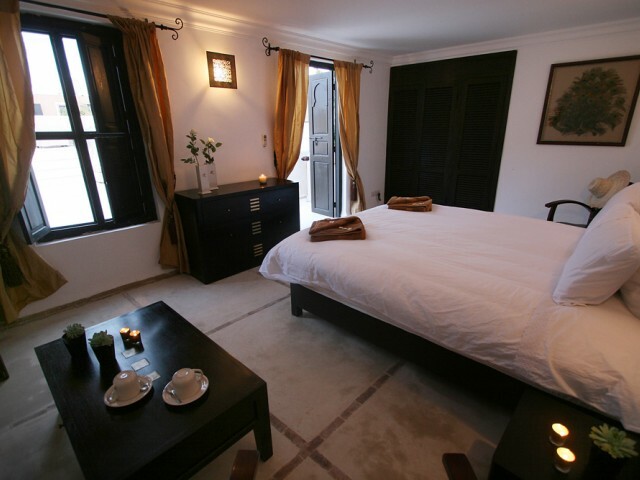 Today Riad increases, offering 4 additional rooms, an extension of the terrace as well as a reserved space to the hammam and the rooms of massage. You can thus choose among 5 continuations with dimensions swimming pool, 3 continuations with dimensions garden or the continuation on the terrace with its private garden. Each continuation understands a space living room and a privative bathroom, and each one of it is equipped with a reversible air-conditioning and heating. For a greater independence, various parts of life are at your disposal. A large traditional living room with chimney and space of restoration opens on the patio under traditional arcades. A bhou (living room open on the patio) vis-a-vis the swimming pool, a bar loundge and the patio garden make it possible to have one moment of relaxation or user-friendliness. 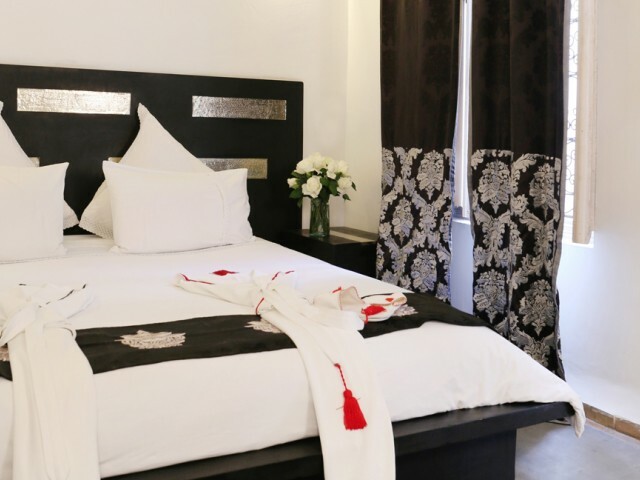 Decorated in white beige and black, with swagged curtains and arched doorways, these two rooms are simple yet stylish. Cannelle has wooden furnishings, while Blanche has silver and black pieces. 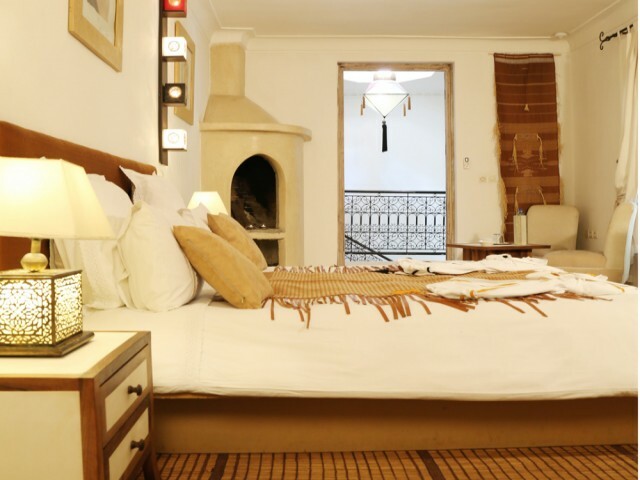 Each room has an ensuite, and air-conditioning and free bottled water. 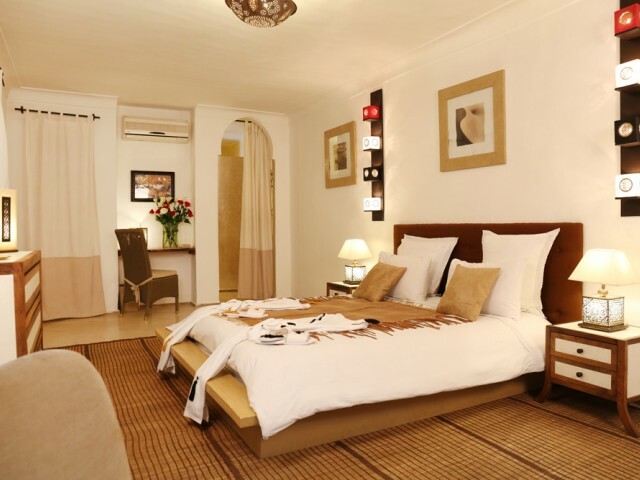 There are four individually decorated Deluxe rooms. 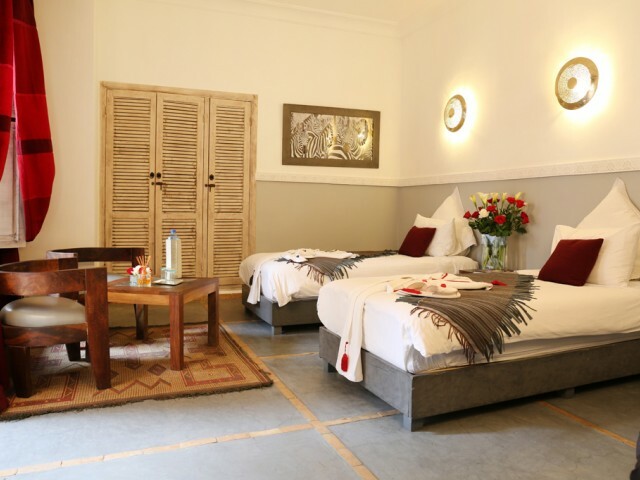 There?s a double bed in each and rooms have air-conditioning and bottled water. Ariane is hung with paintings by local artists; and it?s outfitted in sleek steel furniture with splashes of ruby red. 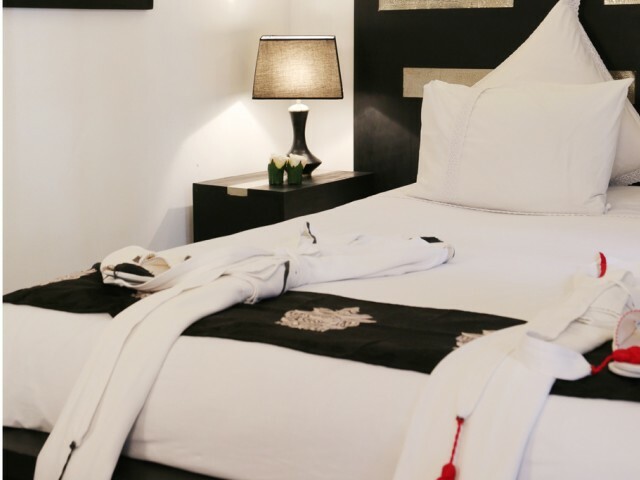 The ensuite has white tadelakt surfaces, and the room has easy access to the patio and swimming pool. 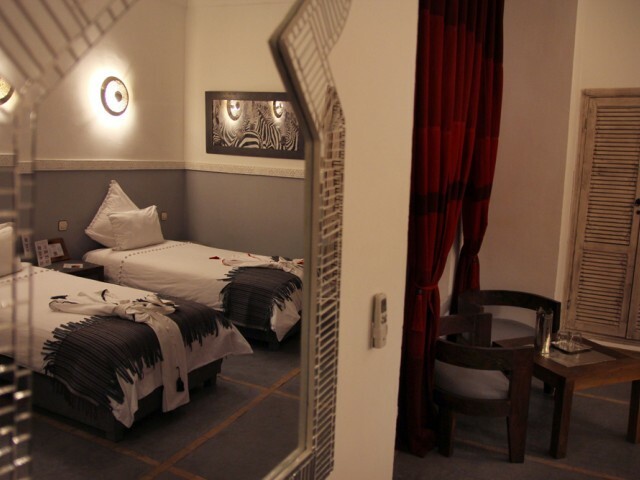 White and red room Josephine has art deco styling, and furniture from Essaouira. 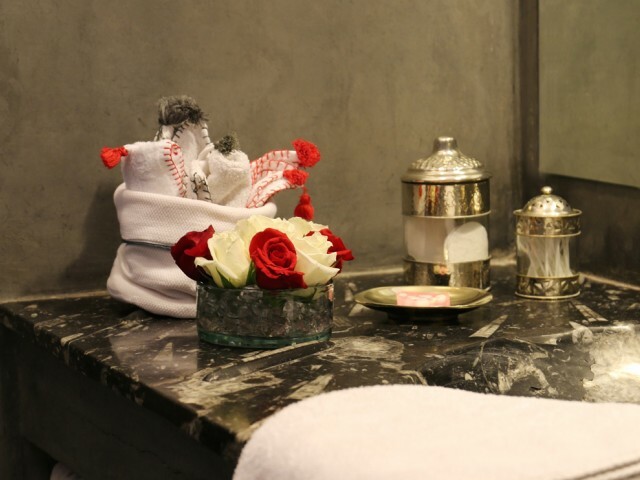 Its spacious souk-style bathroom has a big bath and a vivid red rug. Cream and white Anyssates comes with lashings of space, including a corner living room with a chimney, and a tadelakt bathroom with a marble sink. 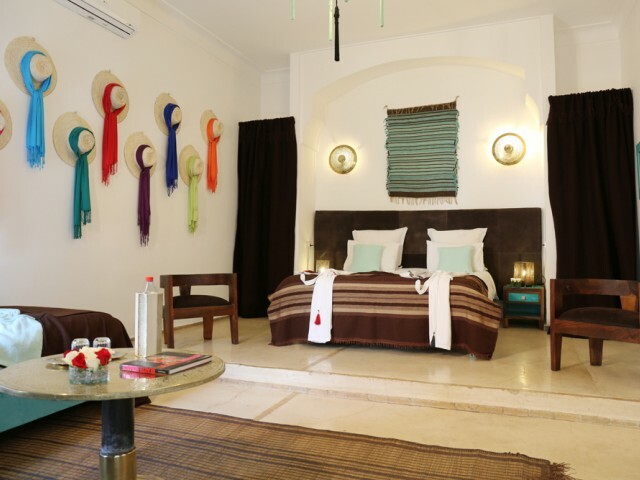 La Terrase is handsomely decorated in mahogany with white walls and copper accents. It has a small outdoor space too. These sizeable rooms each have space for up to three adults. 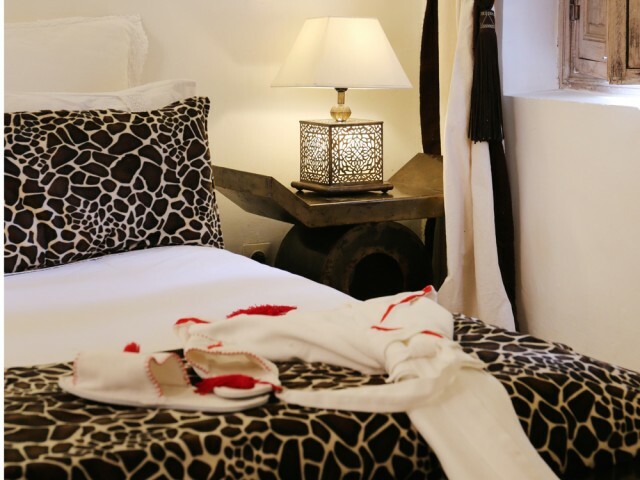 Bambou has three single beds, and is decorated in soft grey and neutral tones, with an ensuite in the same hues. 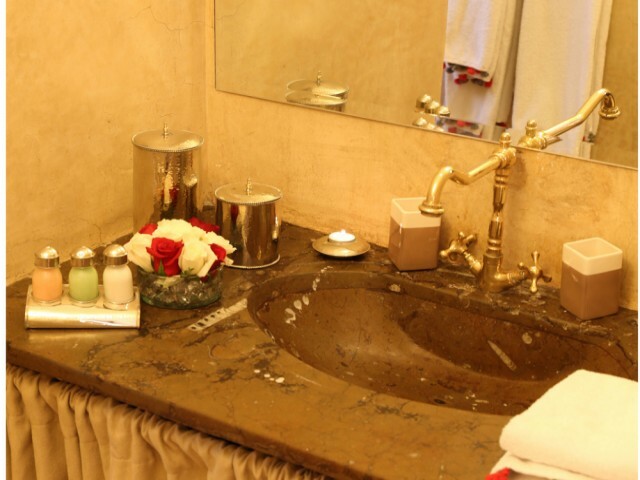 Victoire, on the first floor, has three single beds, and is decorated with red leather furniture, a bold, patterned rug, and chocolate-brown furnishings. The ensuite is kitted out in grey-brown tadelakt. Sarah has a double bed and a small single bed in the living room. Decor is bold and colourful: splashes of mint-green, white and black. 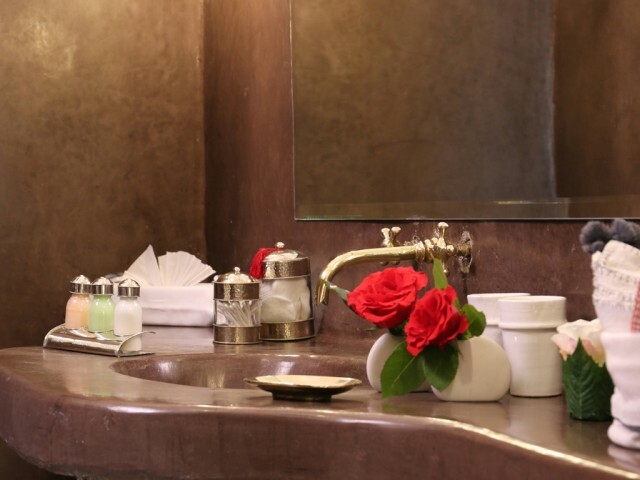 The ensuite is decorated in the same hues, and has tadelakt surfaces. 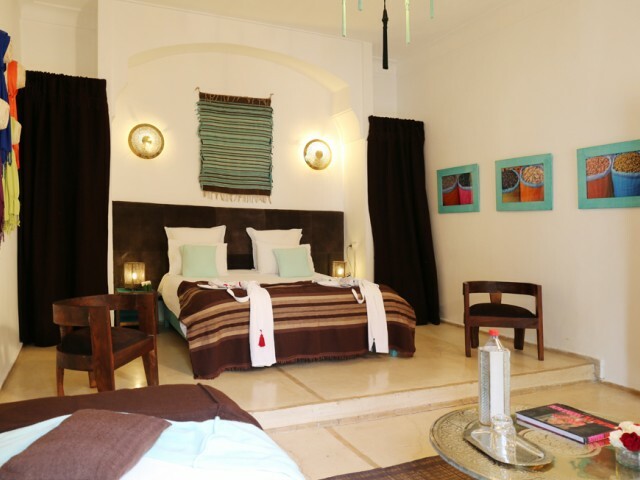 All rooms have air-conditioning and bottled water. Possibility of dealing with the leisures with transport so necessary. Possibility of assumption of responsibility of any l'organization, d'excursions, hiring of car, etc�. Our qualified team is fully at your disposal to help you and advise you in order to benefit fully from your holidays, in a discrete and family environment. 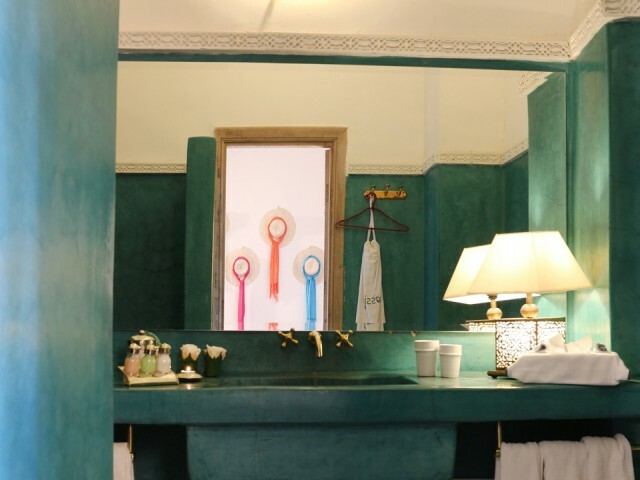 The team will propose to you a Moroccan kitchen refined which will be been used for your liking on the terrace, around the swimming pool in the bhou or in the dining room. Do not hesitate to trust him to discover authentic Morocco.